OPPO Find X, the Revolutionary Flagship smartphone: 1535 days of waiting, delivered! ASUS Announces ZenFone Live (L1) for just RM399! Ho Ho Ho! Get your OPPO F9 with only RM1,199 in this holy jolly Christmas! Up Your Cleaning Game and Go Down Low with The DEEBOT SLIM2! Celcom Home Wireless powers your home with 1TB of internet! XPAX GIVES YOU FREEDOM TO BE XACTLY YOU! 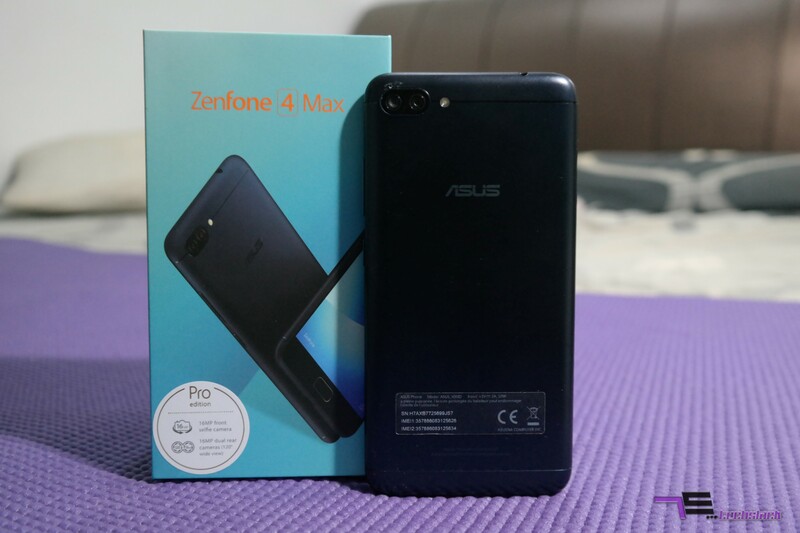 ASUS Zenfone 4 Max Pro Review – Keep the power coming! Coming straight after using the Zenfone 4 Selfie Pro, I would expect things to be far below if you compare side by side from price range. Things did surprise me when I started using the Zenfone 4 Max Pro as this has easily become my daily driver with plenty of reasons. Most importantly, there is no need for you to look for the charger for days! Yes, for days! If the design opinion is to be asked from a non-Android user, they be like “copy iPhone la”. Well, if you ask me – it did not copy anyone and perhaps the camera positioning looks similar to iPhone/OnePlus. That’s something that you can’t judge simply because of that reasoning. The ASUS Zenfone 4 Max Pro feels really solid to hold and it is surely heavy compared to the Zenfone 4 Selfie Pro – 181g vs 147g. Body is almost covered fully with aluminium, so there is no doubt on the premium outlook. There’s a single front camera with LED flash, fingerprint scanner and non-backlit capacitive buttons for back/recent apps while the home button isn’t really a button. It works as you apply pressure on it and functions exactly like a home key, except for the fact it doesn’t press-in since it isn’t a button. (Vibrates on press). 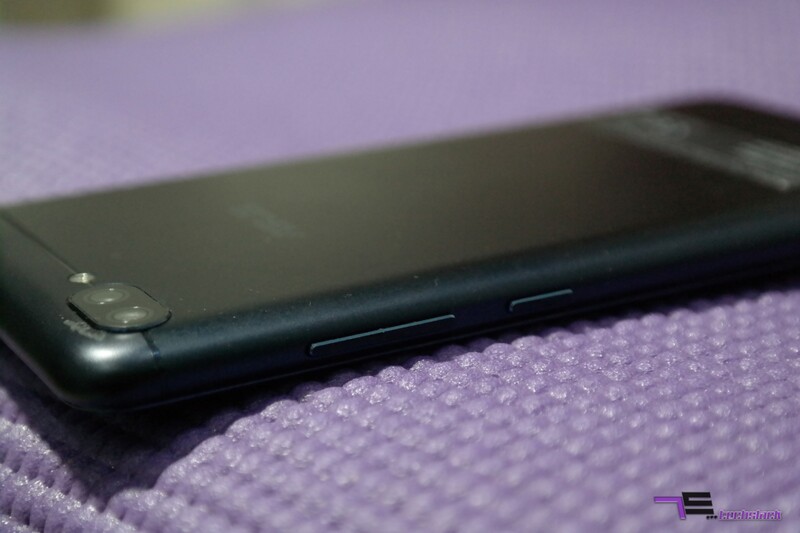 On the back, there’s dual camera with LED flash. There’s headphone jack on the top while the speaker is placed on the bottom. (Left is microphone while the Right one is the actual speaker) The power button and volume rockers are placed on the right side which is perfect in my opinion. 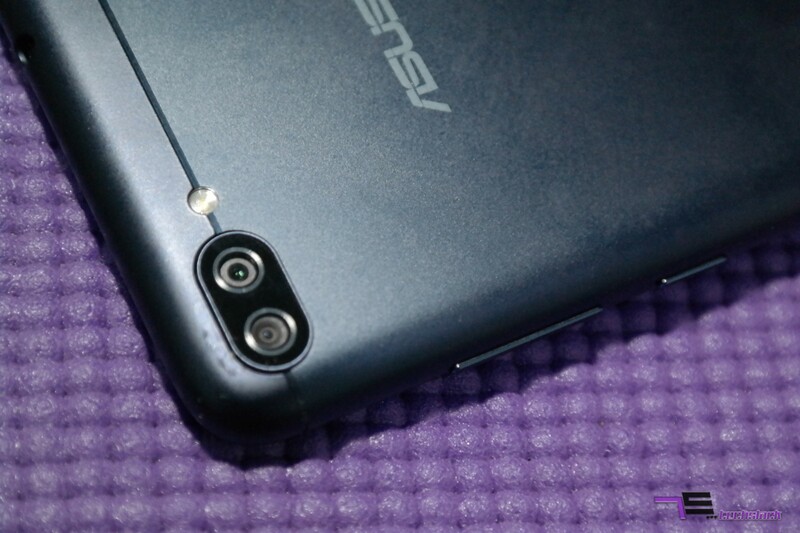 There are two cameras on the back with the main camera sensor capped at 16MP. The secondary rear camera comes at 2MP which works as the wide-angle lens. It gives the fish-eye sort of effect while you capture via this mode. Basically it just gives you the chance to take a wider shot with a lower resolution. Taking photos via the 16MP sensor gives a decent output and images can be extremely good or extremely bad as it all depends on the hand of the beholder. If you have the right technique, the camera does take good photos. However, the wide-angle lens tend to low in detail as well as colors look much washed out. You should only consider using this mode if you require to take group photos. Heading to the front selfie camera, you get a 16MP shooter with f2.0 aperture. You can definitely capture great photos of yourself without any doubts. Further assisting, you have a front LED flash which would be very helpful in low-light conditions. You can obviously opt for the beatification filters if needed as there is ASUS’s Beauty Live features available. The ASUS Zenfone 4 Max Pro is powered by Snapdragon 430 processor which in my opinion is pretty decent and power saving too. Of course, it couldn’t be as power-efficient such as a 16nm and below processors. This processor is based on 28nm process, however the reliability of Snapdragon processor shows that we can still game decently and use social media apps without any flaws. No noticeable lags during my usage of this smartphone. 3GB of RAM is sufficient as most of the time, only 1.5GB of RAM is used on average. I am a person who tend to use Chrome and social media apps such as Facebook, Messenger, Instagram and Whatsapp a lot. My entire battery life review is solely based on such usage pattern. Nevertheless the key selling point of the ASUS Zenfone 4 Max Pro. The 5000mAh non-removable battery is simply stunning. I managed to get 8 hours of Screen On Time for a total of almost 3 days without charging. Do take note that my usage on cellular data is much more than WiFi itself, so this battery life is definitely very good. For a full charge, it takes almost 3 hours from 0-100%. Then again, it lasts you almost 3 days. Check out the screenshots below for the detailed view. 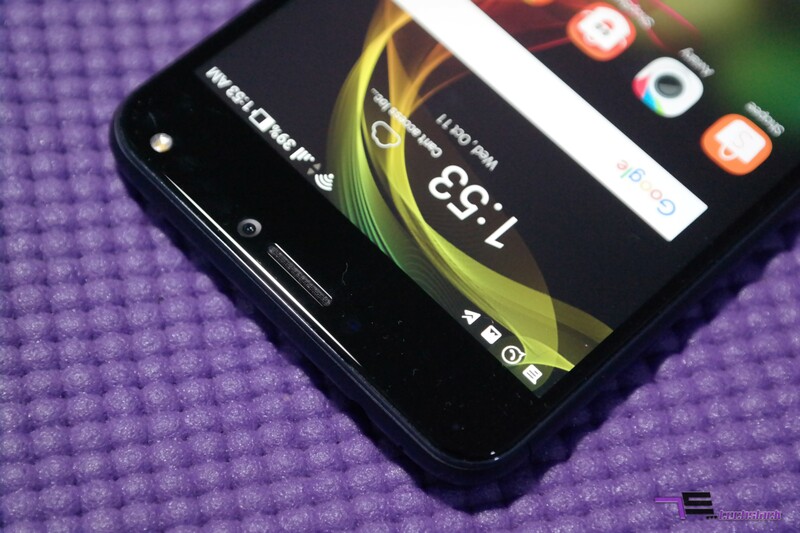 This smartphone supports Dual SIM with both supporting 4G LTE. The SIM card tray slot would be one of the best part as it has dedicated SIM slots x2 with a dedicated micro SD card slot. So you get 3 card slots without having to sacrifice anything!. 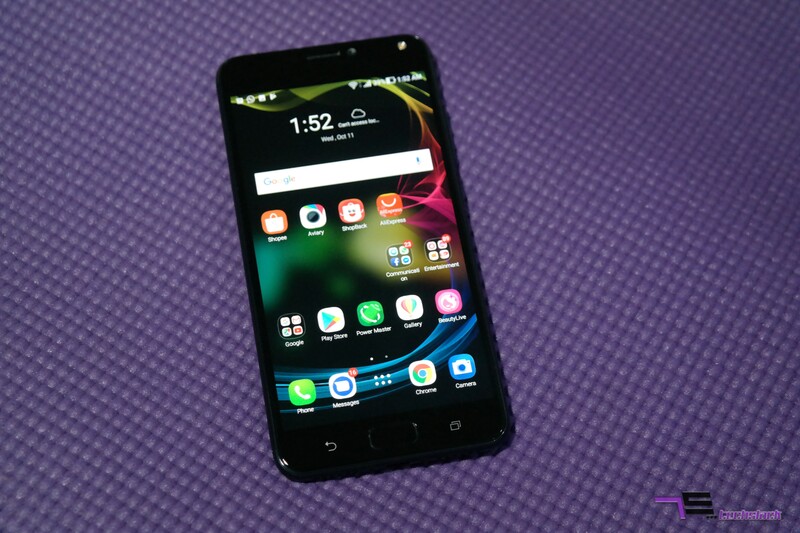 Call quality remains excellent even during noisy situations and network fluctuations seems to be really zero to minor as it was really good via Digi’s coverage. When I have activated the Outdoor mode on, the speaker surprisingly did not break and rather maintained its sound quality. The vocal was pretty clear and loud as I personally feel that the speaker on this smartphone is sheer quality. 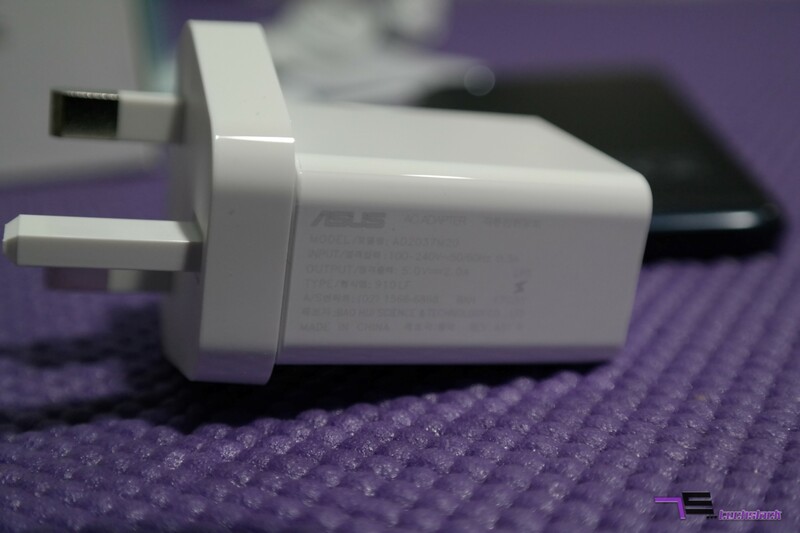 The OTG Cable provided within the box works also as a reverse charger. This means you could also use your ASUS Zenfone 4 Max Pro to power up another device! So, if you have a lot of juice left – fret not to charge your secondary smartphone or even your smartwatch. Be sure to turn off “clean up in suspend” as this works to close background apps when screen is turned off. It is activated by default, so do not go haywire if you only receive Whatsapp messages when the screen is turned on. You can also map the Recent apps key to take screenshots or to activate Multi-Window(which is set by default). The ASUS Zenfone 4 Max Pro is powered by Android 7.1.1 Nougat with the latest Android security patch level dated August 1,2017. Fingerprint sensor is pretty fast and easy to be detected. There’s LED notification light which indicates when you have any unread notification. 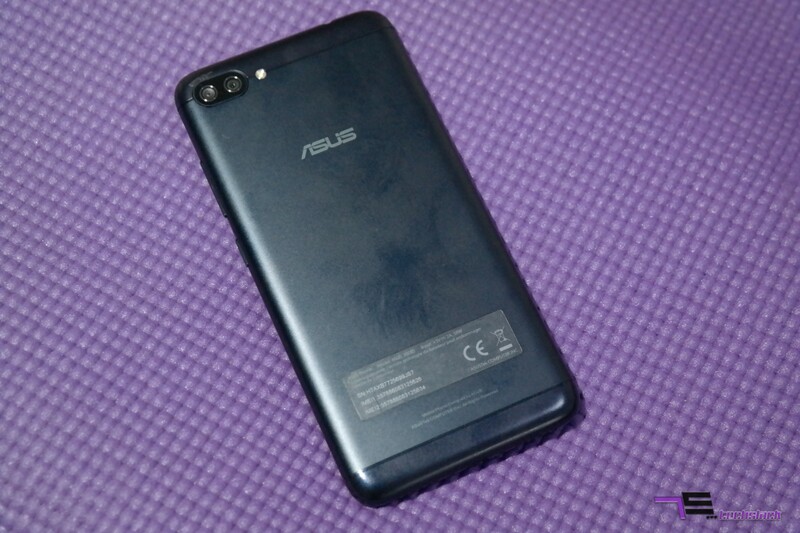 Similar to the ASUS Zenfone 4 Selfie Pro that I reviewed previously, the amount of bloatware is almost unnoticeable. Good job from ASUS to reduce unnecessary apps that will be usually left unused. From my personal point of view, this smartphone is for a person who doesn’t like carrying power banks and would rather have a smartphone which could last you for few days. You can surely make this smartphone even for a week with either Power Saving mode or Super Saving mode. This would be useful if you are going to travel light for few days away from power supply. 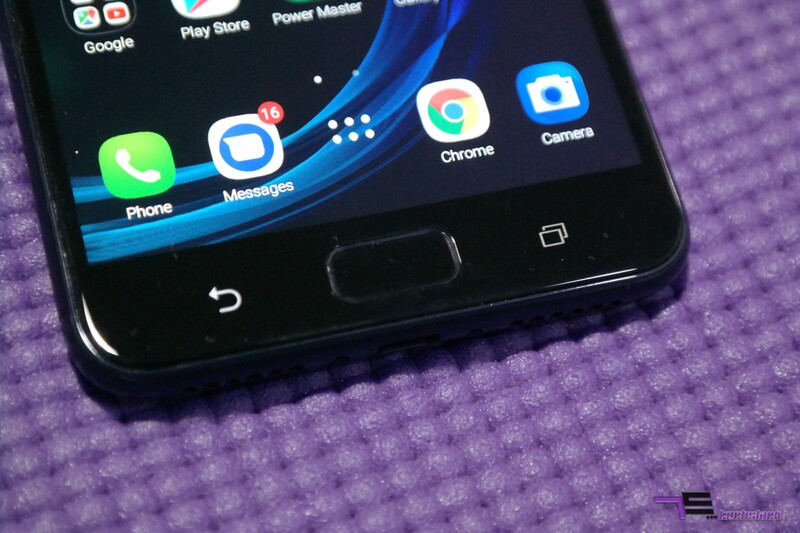 Another reason to consider this smartphone will be its camera. Probably not the best available for this price range but certainly a decent shooter. Not to forget the good sensor on the front for the selfie shots. If you are looking for a cheaper alternative, there is also the ASUS Zenfone 4 Max available for RM799 only! Visit the following link to get it via LAZADA Malaysia. ASUS Zenfone 4 Max Pro Review - Keep the power coming! 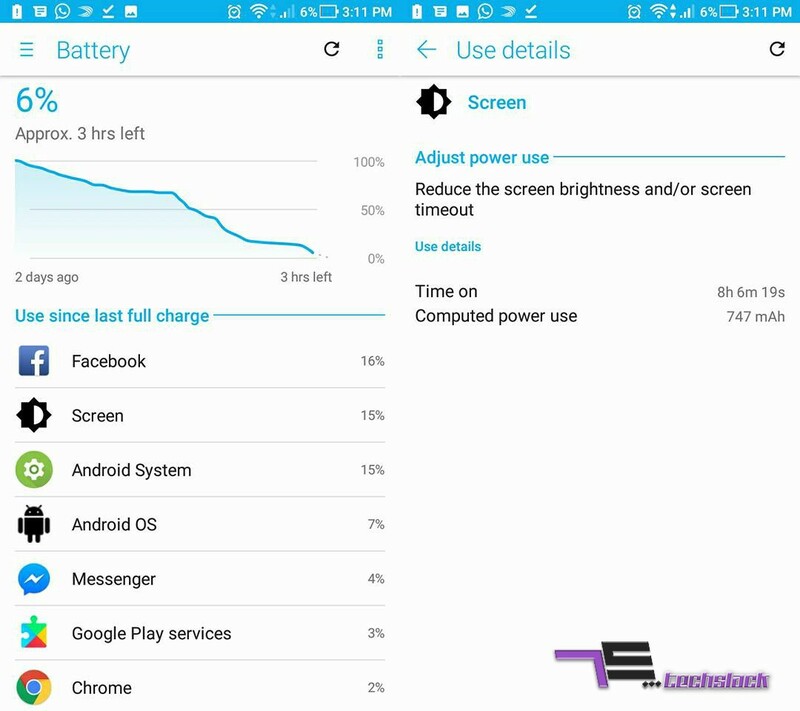 Great Battery lifeDesign is classyAffordable price range which will result in a successful sales for ASUS. Next ArticleMalaysia Spam call on the rise! 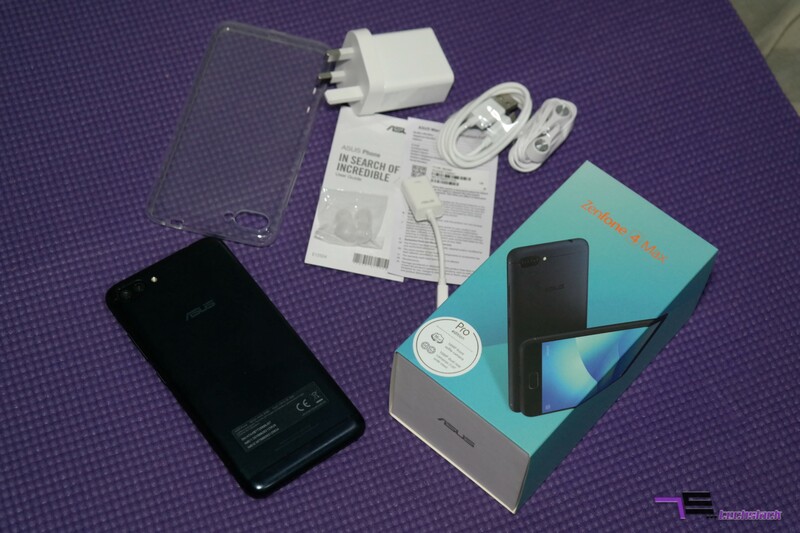 Asus Fonepad 7 (FE170CG) 8GB is now RM429!